Natural eyelash serums are the best solution to thinning or lost lashes. They provide a natural and un-invasive way to restore your eyelashes, without risking the ones that already remain. Most other options for enhancing eyelashes tend to come with risky side effects such as pulling out of hairs, breakage and weakening. They also tend to be temporary measures that do not properly address the issue of eyelash loss. In much the same way you would not consider wearing a wig or attaching a weave as a permanent solution to head hair loss, it is also not ideal to consider eyelash extensions, false lashes or the use of eyelash curlers as the remedy to lash loss. Eyelash serums address any imbalances or deficiencies that may be causing your hair to break or fall out prematurely. Natural serums like Fysiko Serum do so by using ingredients that do not elicit side effects. Even so, it is important for anyone using these serums to follow certain procedures so as to get the most out of their investment and time using it. Fysiko Eyelash Serum is considered by some to be a high end product, but in reality, that single purchase can last a person over 6 months, even with the daily use prescribed by the manufacturer. By following the right steps and being patient, a person should see results soon enough. Fysiko Eyelash Serum is a nighttime serum, so it should be applied at this time. The reason for this recommendation is that the serum can work uninterrupted. During the day, most women wear makeup whose formulas may not work well with the serum. Some also complain of darkening of their lids when using the serum. Leaving it on, on its own allows it to achieve maximum effect. At this time, there is also less exposure to dust, wind and other disturbance. Make up should be removed. This should be gently done so as not to weaken the lashes. Rubbing too hard using makeup remover can even pull out lashes, helping to undo the work of the serum. A good idea is to soak a cotton ball with gentle makeup remover and apply it to the eyelid being cleaned for a few seconds. This gentle soaking will help loosen the makeup and make removal easier and faster. Wash your face. The application of the serum should be the last thing you do in the bathroom before you go to bed. Anything extra may wipe away the serum that needs to be absorbed into the shaft. The serum is liquid so unscrew the lid and pull out the applicator that is attached to the cap. You should see some liquid on the end. Ensure that it is wet, but not dripping. Too much is a waste. You only need enough to apply onto the eyelid area where the lashes are growing out. You do not need to wet the entire lash at all. 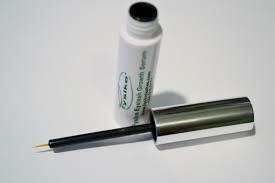 If the applicator is dripping, wipe it off on the borer of the tube and apply a single application to your lashes. Be consistent. The Fysiko Eyelash Serum is a nighttime application that should be applied on a daily basis. Skipping days can negate the previous applications so be consistent and patient. Some people will see results as soon as 4 weeks, while others may take up to 8 weeks. One of the most common complaints that is eventually resolved in relation to Fysiko Eyelash Serum, is how quickly results can be achieved. Under clinical conditions with healthy participants being tested, the results are often visible within 4 weeks time. Under real world conditions however, there are various factors that come into play that may delay the effectiveness of even such a potent eyelash growth serum. One of the most common reasons for such delays is a failure to be consistent in the application of the serum. Applying it a few days a week rather than daily will slow down the buildup necessary to reinforce the new growth of lashes. Another problem is dietary shortcomings. For healthy hair growth on the head and on the eyelids, there are certain combinations of nutrients that are required. A deficiency of even one such nutrient can lead to poor formation of cells necessary to form healthy hair shafts. Consuming a well balanced diet is an important way to support the action of an eyelash growth serum. Age is also another factor. Generally speaking, Fysiko Eyelash Serum should prove effective for anyone in the adulthood. Those who are in adolescence or menopause may suffer hormonal fluctuations that may interfere with the effectiveness of the serum. Older seniors also tend to naturally suffer thinning and drying hair. In such situations, the results may take much longer to appear. If you are undergoing medical treatment like chemotherapy, hair loss is a natural side effect, which you are unlikely to reverse until you are done with the treatments. 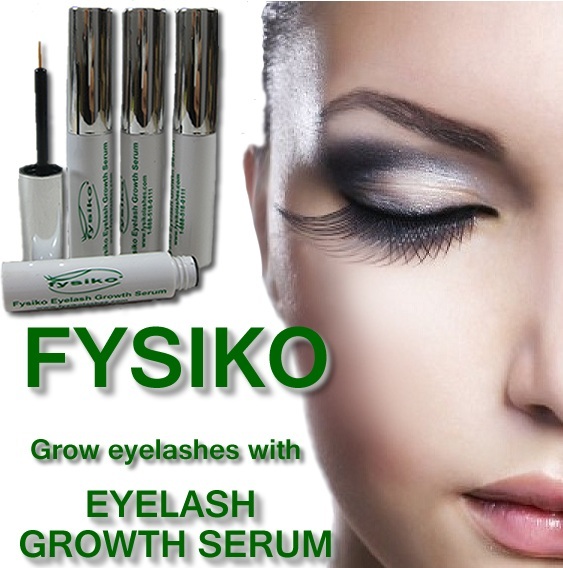 If you are undergoing chemotherapy, then do not bother using Fysiko Eyelash Serum just yet. Allow the medications to do their work and when you have been cleared by your doctor, your hair should begin to re-grow quickly. Applying the serum incorrectly is another issue. Sometimes customers will report uneven growth of the lashes along the lid. This may be due to over application to one side than the other that sometimes forces people to trim their brows for a more even look. Obesity is another condition that can interfere with proper hair growth. Many who start out obese and eventually shed the excess weight will manage to restore the lost hair. Basically, being in good health is key to helping the eyelash growth serum work for you. If you are suffering a condition that may be linked to hair loss, then the results may not be achieved or may take much longer than with a healthy person. Note that sudden excessive weight loss can lead to hair loss so seek to lose excess weight healthily for the best results. Other medical conditions that can cause eyelash growth to slow down include autoimmune disease like alopecia areata and skin disorders like lupus. Sudden and deep emotional and physical shocks are also know to cause hair to fall out and may result in a slow recovery of the lost hair. With such diseases, there is no guarantee hair can be restored. It is advisable to consult with a doctor before determining if the use of eyelash growth serums is the best solution for you. Although it is recommended as a nighttime serum, the manufacturers do approve the use of Fysiko Eyelash Serum for those with eyelash extensions. As already mentioned, it should be applied as close to the root as possible. This should ensure no interference with the bonding glue used to attach the extension. This use of Fysiko Eyelash Serum on lashes that have extensions is encouraged so as to strengthen the natural lash that is carrying the burden of the extension. In fact, many technicians recommend the use of the serum, at least 8 weeks prior to the removal of eyelash extensions.